Sites will be assigned by reservations by the RV Chairman, Brian Jones. 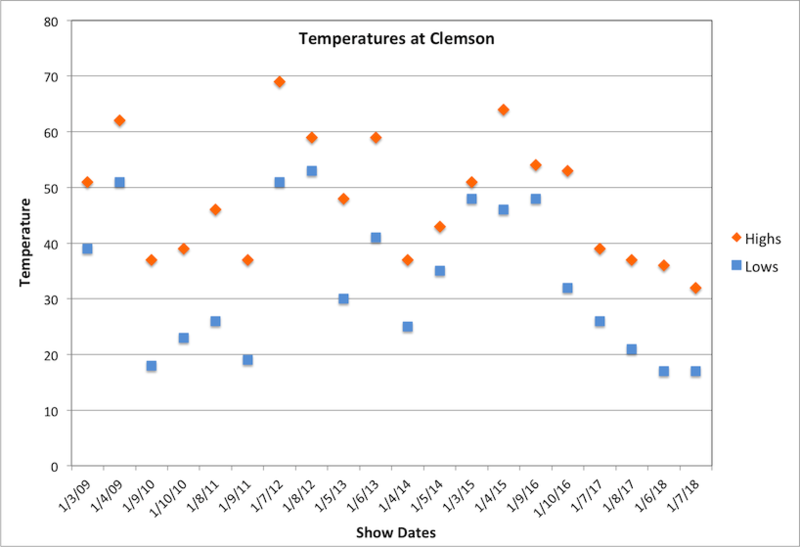 Clemson is a lot closer to the mountains than the sea, and it can be chilly here in the winter. The average low and high are about 30°F and 50°F for the week of our show dates. The all-time records are around single digits to mid-70s. 2017 and 2018 were both colder than normal. Data from Weather Underground, for Clemson/Oconee Airport.